To understand the Shih Tzu temperament and personality it is helpful to look at the history of the breed. Here are some interesting Shih Tzu facts regarding the breed’s history. The “lion dog” term referred to other breeds as well, like the Pekingese and Lhasa Apso, due to their majestic fur and appearance. 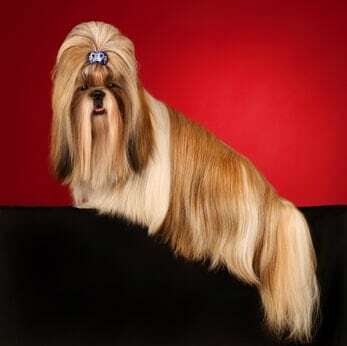 However, “lion dog” meant more than just a hairstyle to the Chinese royalty and Buddhists who developed the Shih Tzu. The Chinese greatly admired the lion’s qualities and attributed these same qualities to their little “lion dogs.” The Chinese so admired the Shih Tzu that if you were to mess with the Emperor’s Shih Tzu, he would have you killed by slow torture. Getting off to that start, it is easy to see now why the Shih Tzu is so confident and dignified. He has an arrogant carriage, he holds his head high, and he curves his tail rakishly over his back. The affectionate Shih Tzu temperament means he is a sociable companion who wants you to include him in whatever you're doing. Sitting on the couch watching TV? Make room for him on your lap or right beside you. Work from home? He'll take a nap until you're off the phone and/or finished with typing, then he'll jump in the car for a quick trip to the grocery store. The clever Shih Tzu temperament means that he knows just how to manipulate you to get the attention he wants. And he does want a lot of it! The loyal Shih Tzu temperament means that he can be very trusting, sometimes to his own detriment. In other words, you must be careful of his encounters with other dogs, especially bigger ones, or children who may play rough. His naivety is both charming (for others) and disarming (for him). As far as the Shih Tzu’s temperament with other dogs, it’s the other dogs who can be the problem, not the Shih Tzu. The spunky Shih Tzu temperament means that while he may be small, he is a sturdy dog whose cup is flowing over with strength and energy. The outgoing Shih Tzu temperament makes him a warm, out-going little dog. In fact, the Shih Tzu is a natural as a therapy dog, though he’s too small to be a helper dog for the disabled. He loves comforting hospital patients and having children practice their reading skills with him. The alert Shih Tzu temperament means he is always aware of what is going on around him. Some Shih Tzus can be rather independent. However, for both your sakes, you must train him early on not to turn his independence into stubbornness. The intelligent Shih Tzu temperament means he can process what is going on around him at a faster rate than other breeds. The Shih Tzu’s intelligence means that he loves to learn new things, especially if that means you’ll give him more praise in the long run! The Shih Tzu is a playful dog, which makes him an ideal companion for children. In fact, the Shih Tzu’s temperament with children is not an issue at all. The two make great playmates but be careful. The Shih Tzu does not realize how small he is, and he may accidentally suffer an injury during playtime. Be sure to teach your children to be gentle around the Shih Tzu. It is challenging to tame his happy energy, but it is important to teach him to sit or stand calmly while people are petting him. Let the petting be the reward. When he sits or stands calmly, he receives pettings. The smart Shih Tzu will get the message. The active Shih Tzu temperament means that he is lively and alert, though not for the purpose of being a watchdog. He is very active in doing whatever it takes to get your attention. The friendly Shih Tzu temperament means that he loves attention, from anyone or anything. Shih Tzus are always up for seeing new sights and making new friends if it means someone new who can focus all his or her attention on him. When you are out with your Shih Tzu, people will consistently stop you to pet him and gush over his cuteness. Insofar as the Shih Tzu’s temperament with cats goes, how friendly he depends entirely on the personality of the dog. Some Shih Tzus like cats, some don’t. The gentle Shih Tzu is not a dog to be feared by any means. In fact, he has no problem welcoming strangers into his house without hesitation if it means they’ll pet him! 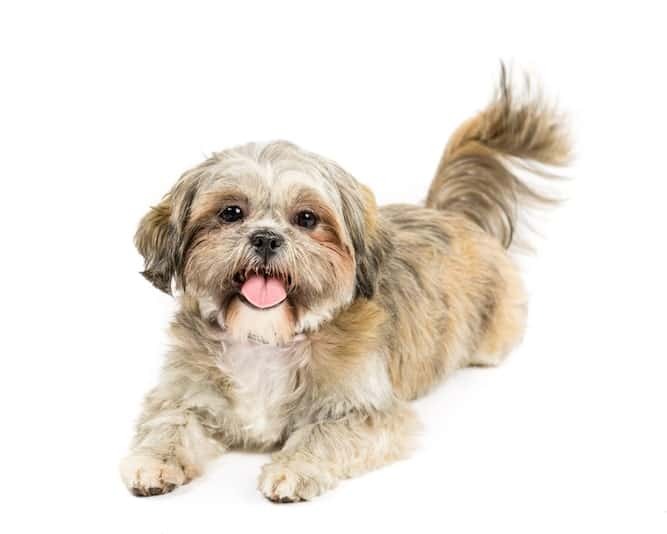 The courageous Shih Tzu temperament is the very definition of “all bark, no bite.” Don't expect this little dog to even try to protect you or your property by force. Indeed, he is almost too friendly and trusting for the job. Some Shih Tzu owners have even hired pet sitters without introducing the sitter to the dog first…and he’s okay with it! Truly taking the time to understand these Shih Tzu traits will help you decide whether this is the right dog for you. See this article for other ideas on choosing the ideal dog. There aren’t too many problems with the Shih Tzu temperament that you can’t manage with the proper training. While there is some stubbornness in his character, many Shih Tzus are still successful at obedience training and competitions. 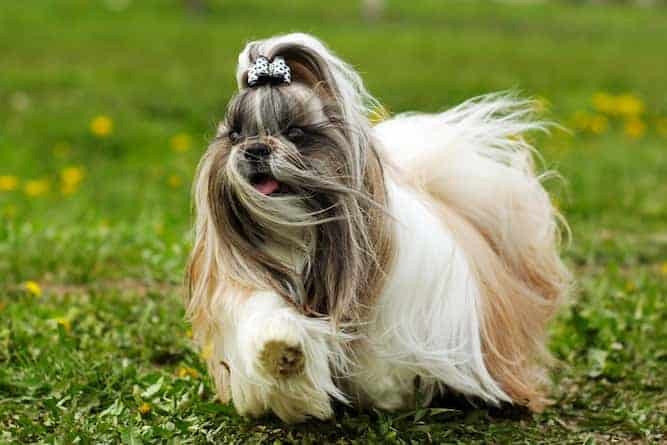 The latter is a wonderful way for the self-confident, self-important Shih Tzu to strut his stuff. When training the Shih Tzu, keep it positive. Use the activity as a reward! Many toy dog owners, including Shih Tzu owners, complain that house training is difficult for them. This is because Shih Tzus can be opinionated, even willful. Consistent positive training lets the dog know what you want from him, and with your persistence, he will eventually come around. You will also want to train the Shih Tzu on barking – specifically, when to bark and when not to. He needs to learn when it is appropriate to bark, and when he’s just being a nuisance. If your Shih Tzu’s hair is long, then you need to brush him daily. This is because shedding Shih Tzus don’t drop the hair all over the house. Instead, the hair remains trapped in their coats. Make sure that when you brush him, you get all the way down to the skin – without hurting him, of course. Otherwise, as far as Shih Tzu care is concerned, you need to bathe him every three or four weeks to keep him looking his best. Comb his mustache and topknot daily and clean the corners of his eyes with a damp cloth. 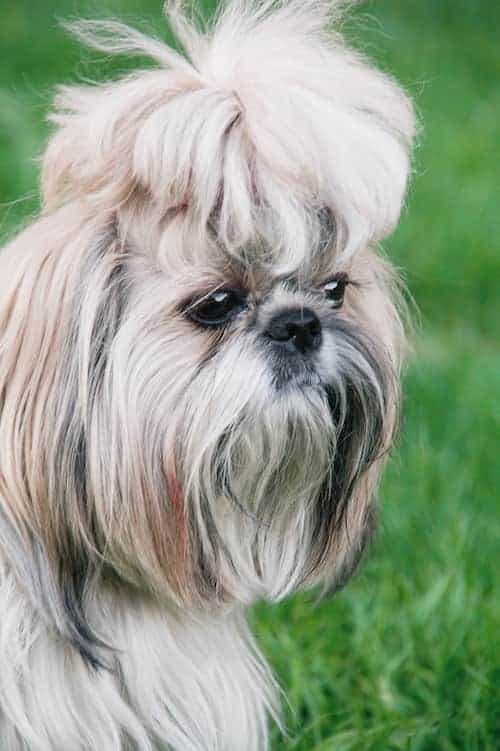 As far as Shih Tzu haircuts are concerned, you only really need to trim the hair on his head, if you’d prefer not to tie it in a topknot. However, you need to do one or the other to protect his eyes from irritation. 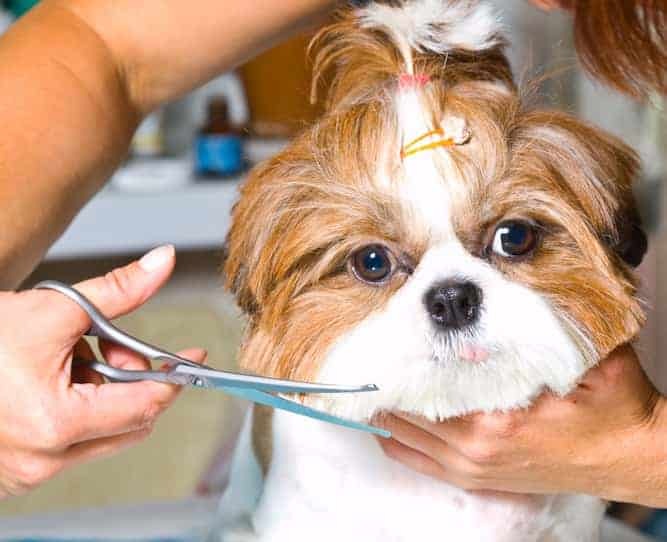 A groomer can also give Shih Tzus cuts known as “puppy trims” to keep them looking their best. 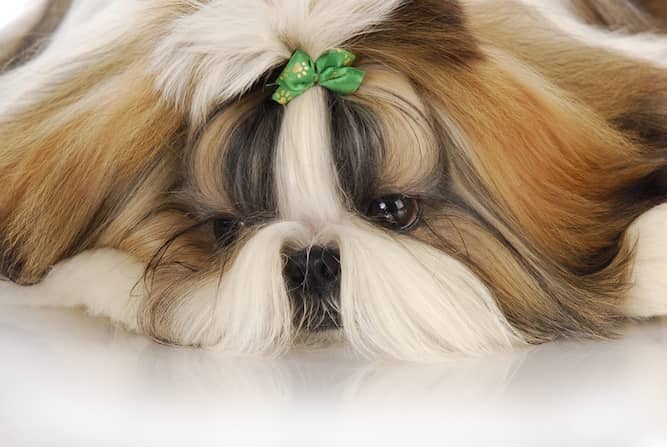 The Shih Tzu comes in a plethora of colors, including black, white, brown, blue, and liver. There is also the grey Shih Tzu and even a gold one. 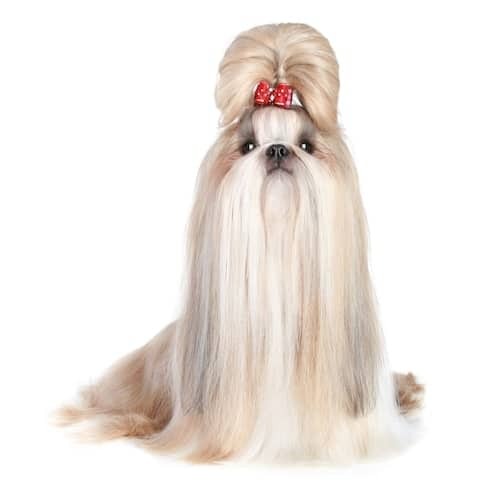 If you’re wondering if the Shih Tzu is a hypoallergenic dog, the answer is that no dogs are. You just need to spend time with the dog you’re interested in to see if you’re allergic. Unfortunately, that’s the only way to know for sure. 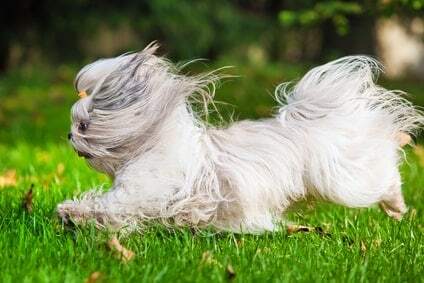 Without regular exercise, the Shih Tzu is likely to become rowdy. A half-hour walk on a leash and daily indoor play are adequate ways of keeping the Shih Tzu calm and fit. The Shih Tzu is a house dog, so that’s all he really needs to feel satisfied. 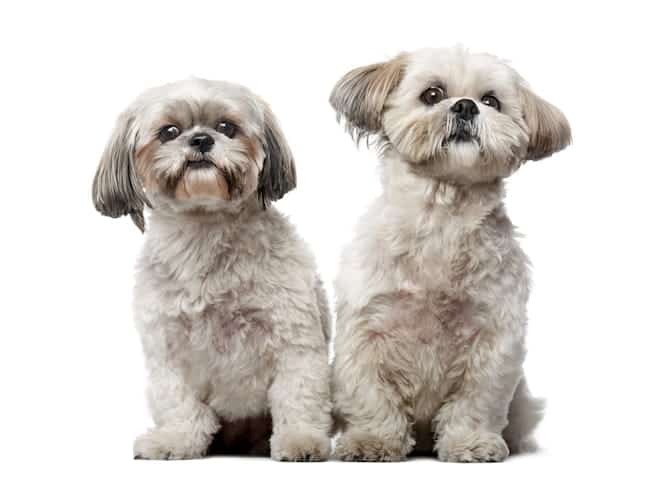 Most Shih Tzus are healthy, but they can come down with diseases and conditions like any other dog. The Shih Tzu’s average weight is between 9 and 16 lbs. And if you think that’s small, you should see a Shih Tzu teacup! While not recognized by the AKC as an official breed, these dogs are only between 3 and 6 lbs. when full-grown. A full-grown Shih Tzu is only between 8 and 11 inches high for both genders. The Shih Tzu’s life expectancy is between 10 and 16 years. That’s almost as long as the life of a cat! Note: Don't let the many issues above scare you. The best way to approach health problems is to prevent them in the first place. The Ultimate Guide to Dog Health is a great place to start. Get a copy to keep at home. 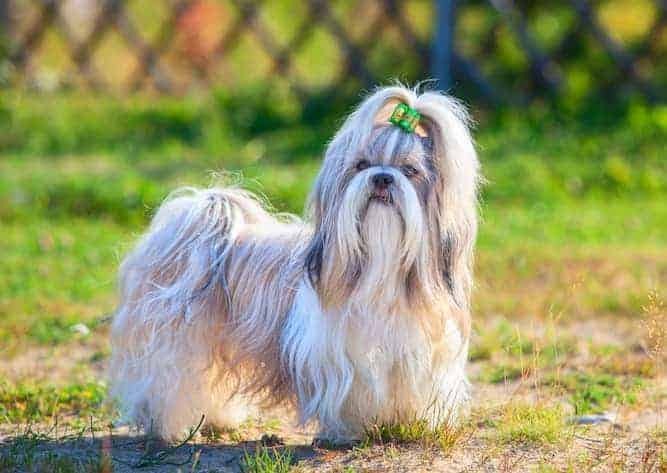 It will help you prevent the painful health issues that can plague your lovely Shih Tzu from expressing his winning personality and maximizing his life expectancy. So you've decided that you'd like to add a Shih Tzu puppy to your family. Congratulations! You can find a Shih Tzu for sale either from a breeder or through a rescue or adoption agency. If you’re considering buying a Shih Tzu, the first thing you need to know is that Shih Tzu puppies can be very expensive. The average Shih Tzu price can be anywhere from $2,000 to $10,000 or more! The price of the dog all depends on how much the breeder decides to charge and the superiority of the dog’s pedigree. If you want to adopt a Shih Tzu puppy, you may be able to find one through a local rescue organization or adoption center. However, due to the price of this dog, his owners are not as likely to give him up as owners of other breeds may be. Of course, a Shih Tzu adoption, if you can find one, can save you a ton of money. Adoption is also ideal if you don’t want to deal with the hassles of training a puppy. This is because most dogs who are up for adoption are older dogs who have already received some form of training. 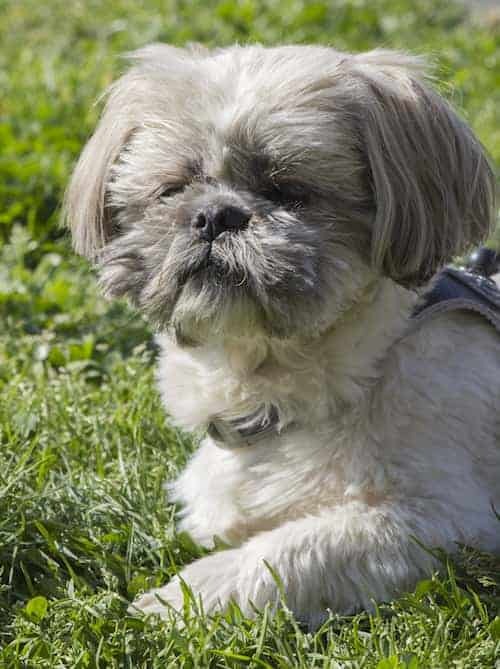 If you’re looking specifically for a Shih Tzu dog rescue, there are several organizations throughout the country that specialize in Shih Tzu rehoming specifically. Never has it been more important to do your research on breeders than when you’re buying a Shih Tzu. You don’t want to spend $10,000 or more on a dog who might be sick! A good resource to consult is the AKC (American Kennel Club). Such an organization has a reputation to protect, and they certainly won’t recommend a breeder who isn’t above board. Make sure you get the necessary health certificates from the breeder and make sure the breeder makes himself available for any questions you may have. This should still hold true even months after you buy the dog. Conclusion: Why the Shih Tzu? The Shih Tzu temperament makes for a rollicking adventure, thanks to his cheerful, “always ready” nature. He wants to be part of the family fun and enjoys being with people, as well as with other dogs and pets. In fact, the Shih Tzu’s temperament with kids is never an issue. You just have to make sure the kids are playing carefully with him so he doesn’t suffer an accidental injury due to his tiny stature. The Shih Tzu temperament is affectionate and cavalier. He is plucky, bubbly, and outgoing, though he can be stubborn on occasion. However, the average Shih Tzu dog price may blow your hair back. The average Shih Tzu cost is anywhere from $2,000 to $10,000, so if you’re looking for a purebred dog from a breeder, you’ll have to save up. Previous post: Australian Cattle Dog Temperament: Do You Want To Know About It?